Exterior home design is one of the most important areas which needs an expert to take care of. Villa owners often times overlooked if the designers they hire are experts of both villa exterior and interior designs. Exterior residential design being the most visible area of a house should have well-thought space planning and expert advice to make sure the design is efficient and complements the overall look and theme of the house. ALGEDRA Interior design Turkey is always ready to provide brilliant ideas and styles from which you can choose the one that suits you the best such as modern style exterior, Islamic theme or mix of many styles. Our specialized exterior and interior designs can provide you with many ideas for both day and night view. Make your home exterior design a reflection of your personal style, contact ALGEDRA Interior Design now for consultation! We design the most luxurious exterior style for your Palace. 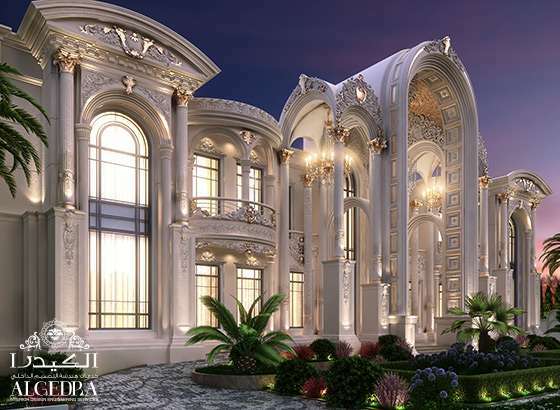 Our designs are famous for classic luxury Arabian style and fusion of European influences. 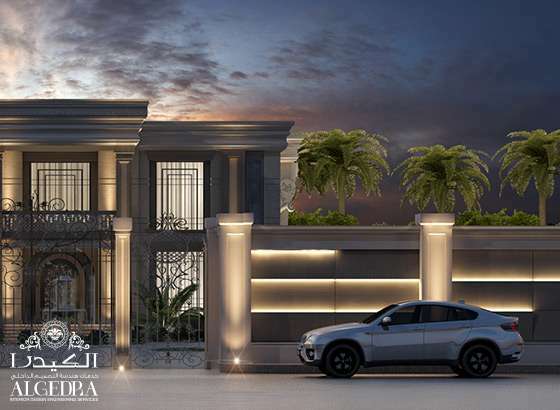 We design your villa boundary with the correct manner and distinct artistic touch to enhance the overall image of your home, Call now +971 4 3639703.